The Cardigan Welsh Corgi temperament makes for a friendly, devoted, companion. He is also flexible in the role you want him to play. 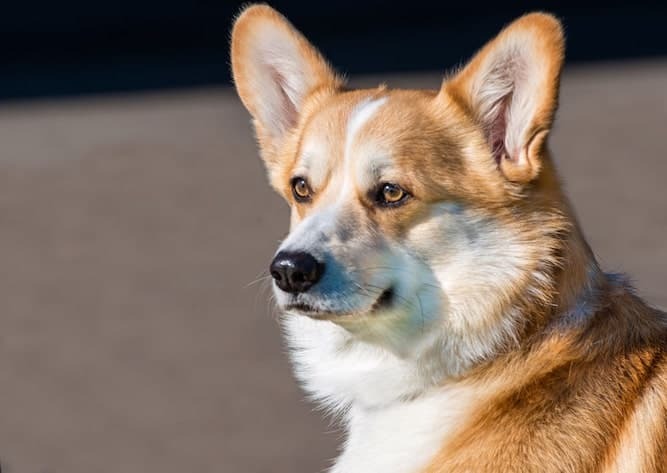 The Cardigan Welsh Corgi can be a watchdog if you need him to be, but he can also be a loving family dog. He is also a territorial dog who needs constant socialization to get over his initial distrust of other people and animals. The Cardigan Welsh Corgi first emerged in 1925 with his cousin, the Pembroke Welsh Corgi, at a British dog show. Later that year, an organization calling itself The Corgi Club formed in South Wales. When local members showed a preference for the Pembroke, Cardigan enthusiasts created their own club the following year to advocate for the breed. In 1928, the Kennel Club grouped both breeds together under the more general label of Welsh Corgi. In 1934, the Kennel Club gave the breeds back their individuality by recognizing them as separate breeds once again. Loving – Cardigans may be suspicious of you at first, but once they get to know you, they’ll love you like their family. Loyal – The Cardigan is a devoted dog who is loyal to his family. Alert – The Cardigan makes for a great watchdog. He will bark until he is sure that a stranger poses no threat to his family. Friendly – Because he's so companionable, the Cardigan makes for the perfect house-pet. Intelligent – His smarts make him easy to train. Active – Originally bred for farm work, this is a dog who loves to be busy. The Cardigan Welsh Corgi is a barker, but it's less of an annoyance than a sign of alarm. Training him to understand the appropriate times to bark will calm him down so that he doesn't think everything is a threat. The Cardigan does well with large or small animals or children, so long as you raise them together. However, he has a herding instinct, and so he may try to herd animals and children smaller than him. You need to teach him that while herding is good for farm living, it's not necessary in the home. Also due to the herding instinct, some Cardigans may act more stubborn and independent. This is because their ancestors had to stand up for themselves against the large animals they were trying to herd. This is another bad habit that you can train out of him, and not every Cardigan does it. The Cardigan likes to get his master's attention, whether by clowning around or doing things to put him in the spotlight. Sometimes this results in bad behavior, like “look at me! I have your slipper!” Gently scold him when he acts up and reward him with praise and a treat when he does well. While the Cardigan doesn't need too much in the way of physical exertion, he needs to be challenged mentally. He gets bored easily, and a bored dog is a destructive dog. Perhaps more with the Cardigan than any other breed is the importance of frequent socialization at an early age. In fact, even of the two Welsh Corgis, the Pembroke is the socialite; the Cardigan needs more convincing. Take him anywhere and everywhere you are able: parks, around the neighborhood, to pet-friendly stores and beaches, wherever. You must continue to socialize him over the course of his life to keep up his good habits. If you find he's standoffish, or that he doesn't take well to socialization, seek a professional trainer for assistance. Don't just let bad behavior go by excusing it. Correcting it early on will give you a well-adjusted dog for life. A good brushing once a week is all you need to keep the Cardigan looking his best. Keeping the hair on the bottom of his feet trimmed neatly will also reduce the amount of dirt he brings inside. Some Cardigan owners feel they need to have their dogs' coats trimmed for the summer. However, this isn't necessary. Prolonged exposure to the sun in the hot summer months can have an effect on a dog with a black coat. So Cardigan Welsh Corgi colors may matter. If your dog is mostly black, don't let him stay in the hot sun for too long. You can find good Do It Yourself (DIY) Grooming Tips Here. The Cardigan Welsh Corgi temperament makes him adaptable to any level of exercise you want to give him. Want to go for a long walk or run? He's up for it. Prefer to have a quiet day in, noshing on junk food while lounging on the couch? He's up for that, too! You do have to walk him at least once in a while, though. He feels happiest when he is regularly socialized with the neighbors. You can tell he's getting cabin fever when he does the “zoomies” around the house, trying to burn off energy. Keep in mind that exercise helps avert potential bad behaviors as well. If you're not up for a walk one day, playing ball with him is a great substitute. Just stay away from activities that involve climbing stairs or jumping. These have the potential to cause the Cardigan to suffer back injuries. The Cardigan Welsh Corgi lifespan is, on average, between 12 and 15 years. So you've decided you'd like to make the Cardigan Welsh Corgi a member of your family. Now you need to know what to do to make that a reality. 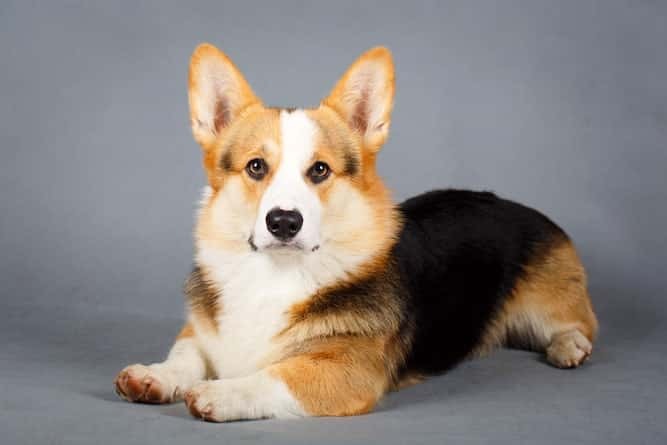 You can choose to purchase a Cardigan Welsh Corgi for sale from a reputable breeder. Or you can research Cardigan Welsh Corgis for adoption in your local area. The average Cardigan Welsh Corgi price is between $600 and $1,000. This number will vary depending on the quality of the dog and the location of the breeder. Some Cardigan Welsh Corgi puppies can cost as much as $2,000 for a pup from a top-of-the-line litter. If you would like to adopt a Cardigan Welsh Corgi, your first step is to research local rescue organizations and adoption centers. You will find that the costs involved in adopting from a shelter are significantly less than when you purchase a dog from a breeder. However, this also means that you are less likely to get a purebred dog and more likely to find a Cardigan Welsh Corgi mix. There is nothing wrong with a mix. However, it may be difficult to obtain the dog's history if the shelter is unsure of what's in his mix. This may prove problematic when trying to determine the potential health concerns to be aware of. It is so important when choosing a breeder that you do your research ahead of time. You want to be sure you're dealing with a licensed breeder who gives you all the paperwork you need. If a breeder ever hesitates to answer one of your questions or refuses to let you see the dog's living space, move on. A good resource to consult is the Cardigan Welsh Corgi Club of America. On their website, they list everything from breeders to rescue organizations they recommend. 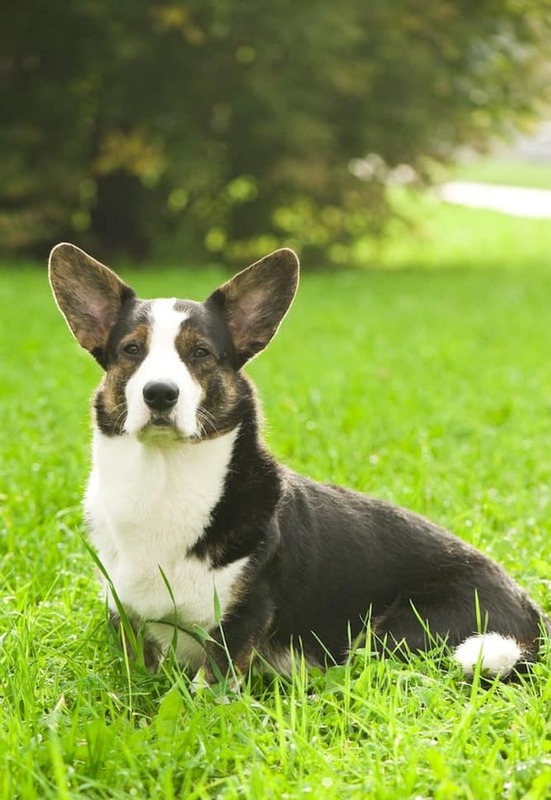 The Cardigan Welsh Corgi temperament makes him just as good of a watchdog as a family dog. Usually, he's up for as little or as much exercise as you want. But once he starts getting restless, that's when you know it's been too long, and he needs to walk. And he does need to walk. The key with a Cardigan is: socialize, socialize, socialize! Socialize him early and often, and continue to socialize him over the course of his lifetime. This will make him a consistently happy dog. Grooming him is fairly simple. Just be sure not to let him spend a lot of time in the sun if his coat is mostly black. Previous post: English Bulldog Price Tips – What’s The True Cost of An English Bulldog?